Mintage of just 670 strikes with an estimate 65 or better population of less than 200. 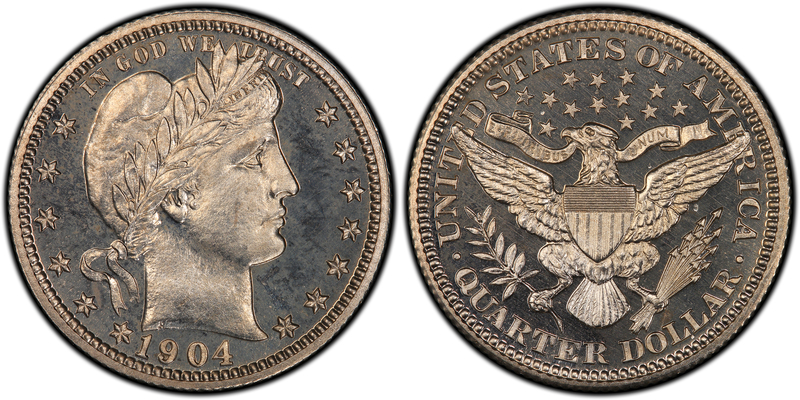 Full size PCGS CoinFacts image also available here. Tags: Barber Quarter Certified Collectible Coins & Currency Quarter Dollars Silver U.S.